What is Forte Dauphin Apatite? In gemology, apatite is often referred to as “the Great Deceiver,” for it is often confused for other gemstones, thanks to the astounding variety of colors in which it’s found. Forte Dauphin apatite, however, is occurs in vibrant neon lime hues, unlike many other gemstones found on the market today. Is Forte Dauphin Apatite valuable? The value of colored stones is typically determined by a combination of its color, clarity, cut, and carat weight. This is no different when determining what Forte Dauphin Apatite is worth. These guidelines will help you choose apatite stones for your collection. Like other colored stones, Dauphin Apatite’s value is primarily determined by the intensity and saturation of its color. With a verdant neon hue, Forte Dauphin apatite sparkles and glows with an intensity rarely seen in gemstones. Forte Dauphin Apatite exhibits an eye-clean clarity. This level of clarity is extremely uncommon for apatite. Typically discovered as small crystals, apatite usually shows inclusions, but these are often concealed by its color intensity. Apatite requires the best cutters to work with the material. Given its general rarity, sporadic production, and softness, any mistake can be a costly setback. Despite this, finished gems feature a high polish and careful, deliberate faceting, giving stones a premium appearance. Polished stones feature a vitreous luster, with the shine of glass. It is unusual to find the stone set in jewelry, making apatite jewelry a collector’s item when compared to another gemstone jewelry. In addition, stones above one carat in size are exceedingly rare. Value easily triples in price per carat once stones reach a size over a single carat. Stones over three carats are practically unknown! Is Forte Dauphin Apatite real? Highly sought-after for its eye-clean clarity and brilliant lime green sparkles, Forte Dauphin Apatite is a genuine gemstone. Forte Dauphin Apatite may undergo heating to enhance its color. Ranking five on the Mohs scale, apatite needs certain care like any another colored gemstone. Clean this stone with warm water, gentle dish soap, and a soft bristled brush. Dry with a soft cloth. Sensitive to high temperatures, cleaning apatite with steamers, ultrasonic cleaners, and chemicals is strictly prohibited. One should also avoid any contact of Forte Dauphin Apatite jewelry with hair sprays and lotions. Delicate in nature, store Forte Dauphin Apatite jewelry sperate from other gemstones. Make sure your Forte Dauphin Apatite jewelry is kept secure in a jewelry box to avoid scratches over a time. Who Can Wear Forte Dauphin Apatite? Green is one of the most appreciated hues. It represents freshness, life, and renewal, making an excellent choice for yearlong wear. The soothing green sparkles radiating from Forte Dauphin Apatite are perfect to compliment any desired look. For individuals who are well-balanced and want to see things with different perspectives, green-hued Forte Dauphin Apatite is just the right choice. 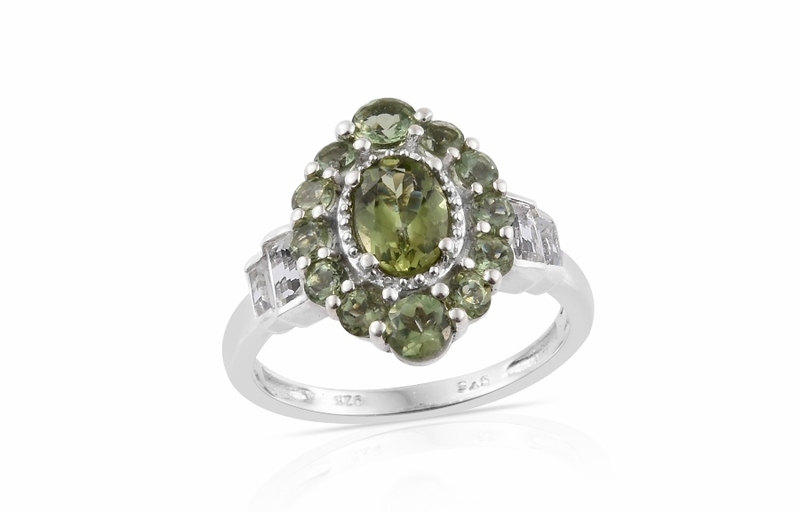 How Does Forte Dauphin Apatite Compare to Other Green Stones? Forte Dauphin Apatite portrays gorgeous lime-green shade perfect to match with any color stone jewelry and clothing in your collection. Consider Forte Dauphin apatite if you love Arizona peridot, chartreuse quartz, tsavorite garnet, emerald and other bright green gems! 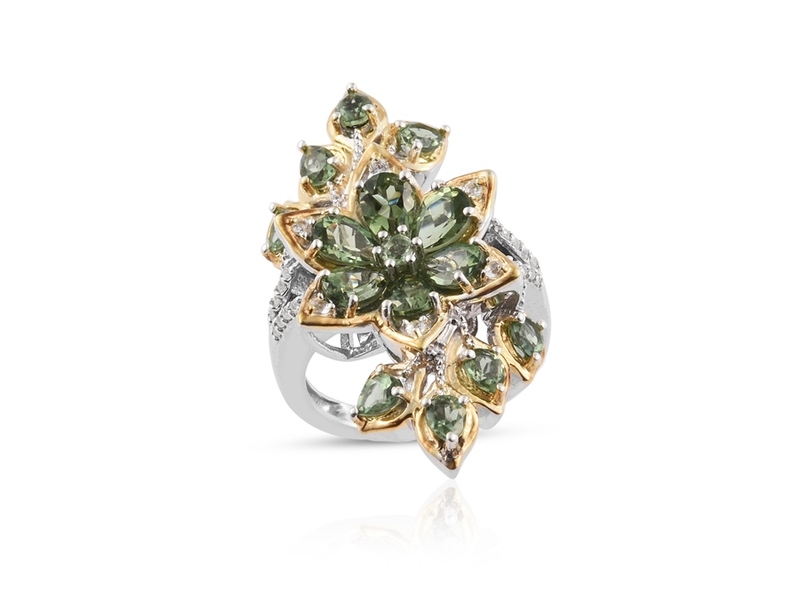 Where Does Forte Dauphin Apatite Come From? As a mineral, apatite is common and found throughout the world. As a crystal gem, however, it is much less common! Madagascar is the world leader in the production of gem-quality apatite material. Forte Dauphin apatite is sourced by Shop LC from the Forte Dauphin region of Madagascar, located in the southeast area of the island country. How is Forte Dauphin Apatite Mined? High-quality apatite crystals most often form in pegmatite pockets. Pegmatite is rock infused with crystals throughout the stone. Rough apatite is removed from this material. Skilled lapidaries are necessary to work this material, as it’s fragile and easily broken. Rough will typically produce anywhere from eight to twelve-percent finished gemstones, averaging a ten-percent yield. Few large-scale mining operations exist. For the most part, the majority of excavation is conducted by artisanal miners who employ traditional techniques and use simple tools. Unfortunately, the popularity of the gem has outstripped miner’s ability to acquire the stone. Prices continue to rise as available rough is snatched up on the open market. No new mining has been performed since mid 2010s. Most sources are now widely regarded as depleted. What Does Forte Dauphin Apatite Mean? Forte Dauphin Apatite is known to be a stone of manifestation. The stone is said to enhance one’s imagination, creativity, learning abilities, and insight. It is also believed that wearing Apatite helps in reinstating a stronger thought process. Apatite is believed to assist bones and nails problems. It is also said that apatite helps in strengthening muscles. Apatite is a great gemstone that can enable faster results when used with other crystals. Is Forte Dauphin Apatite a Birthstone? Forte Dauphin Apatite is not recognized as a modern birthstone. 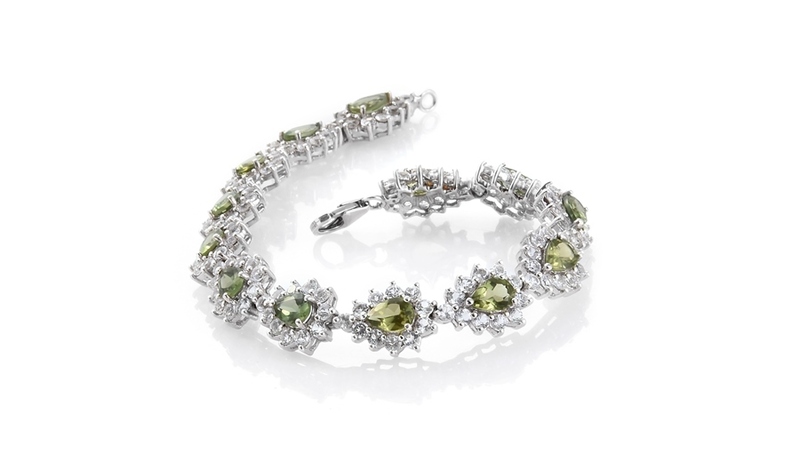 Its rarity in gemstone jewelry has kept apatite primarily as a collector’s gemstone. 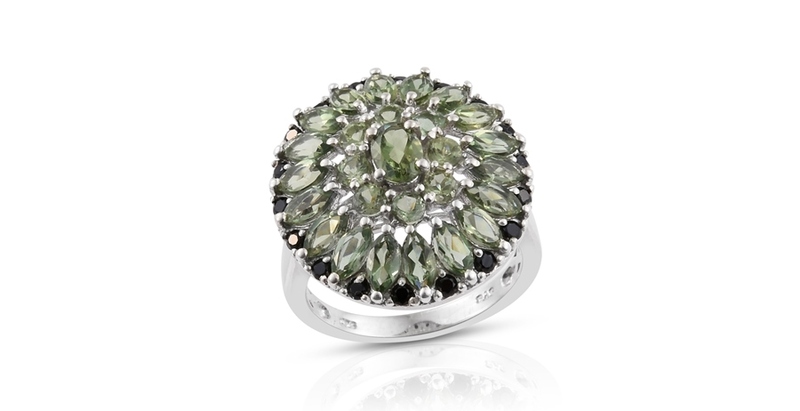 Some prefer the stone as an alternative to peridot for the birthstone of August. Color presents as an intense, vibrant lime green. 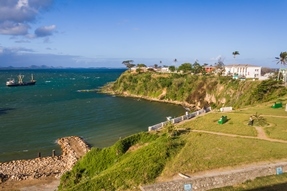 Sourced from the region around Fort Dauphin, Madagascar. Stones may be heat-treated to improve color.